A Chrome Extension that summarizes hour long lectures into snippets of important sections via crowdsourced time data. 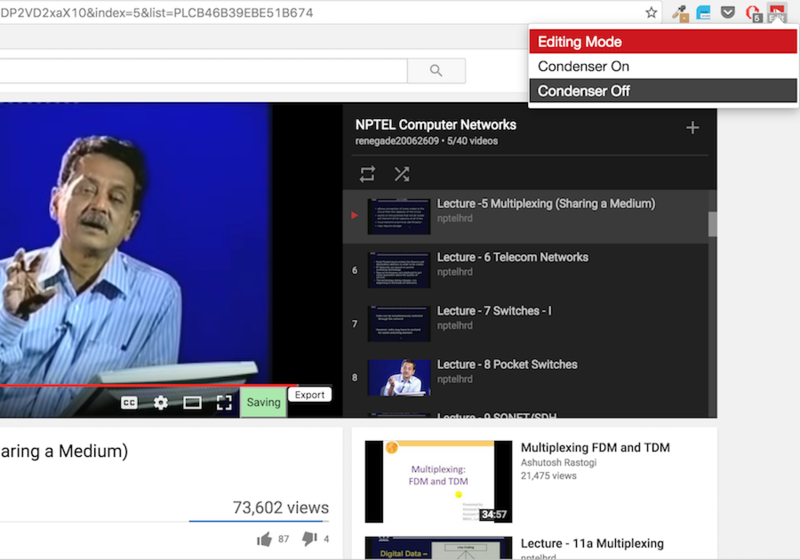 In my college, students revise the lessons for their exams by watching NPTEL Video Lectures. 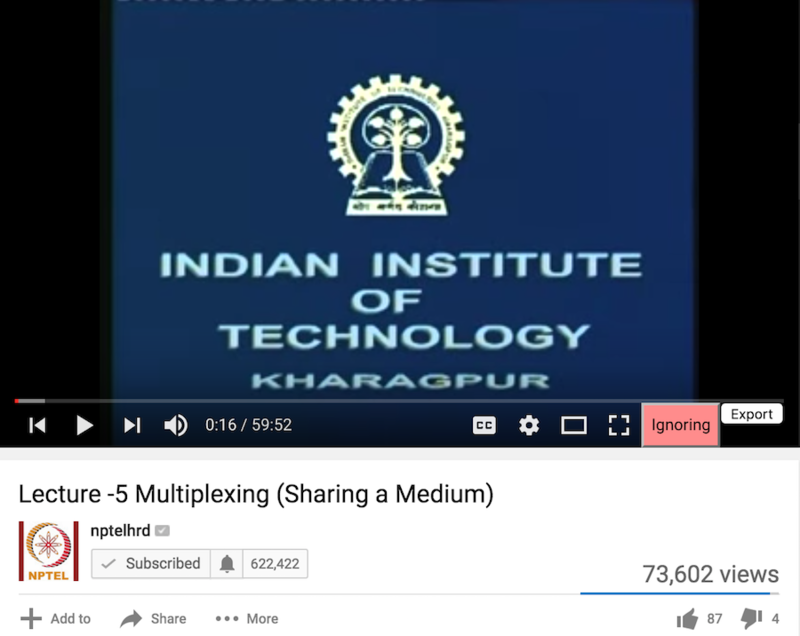 NPTEL is a repository of educational videos made by IITs, IISc and other premier universities. 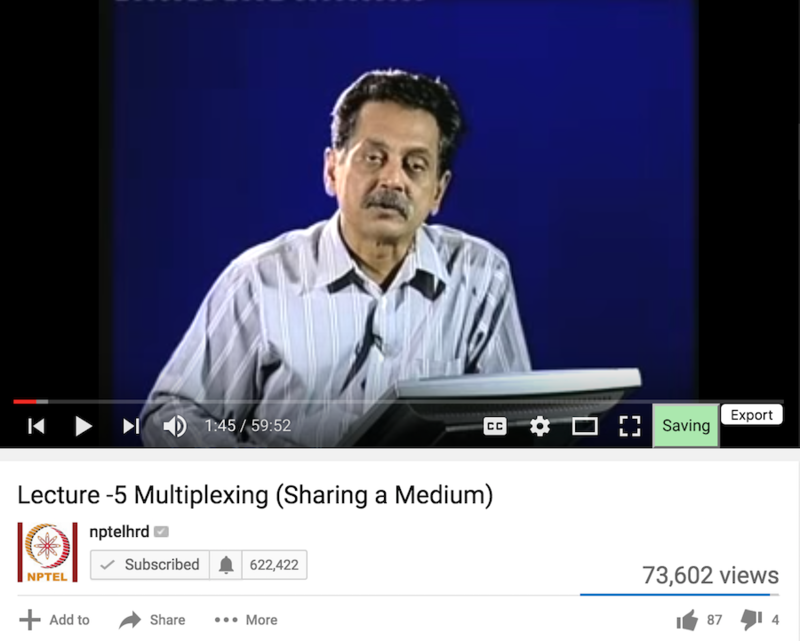 They are binge-watched by almost every student before their examinations in order to revise the entire course at once.These lectures are series of videos, each 50 minutes long with about 30 videos for every course. The one hour duration of each lesson isn't uniformly important. There is a long intro, an outro, portions where the professor gets distracted, there is irrelevant information and so on. NPTEL Condenser skips these parts for you and condenses each video into few minutes of most important content. I made NPTEL Condenser to solve this problem. NPTEL Condenser makes it easier for students to share their knowledge of important sections by marking the parts that are important. This makes the extension skip the un-important parts in all the users, thus compressing the time needed to revise. The extension has three modes to work with. Condenser Off turns the skipping functionality off. Condenser On skips any part marked unimportant by 2-3 students. Editing mode allows students to create their own custom timestamp data. Two buttons get added to the YouTube UI called 'Export' and a toggle button 'Saving/Ignoring'. Students can toggle the state depending on the relevance of the video being played. Marking important parts of the video. 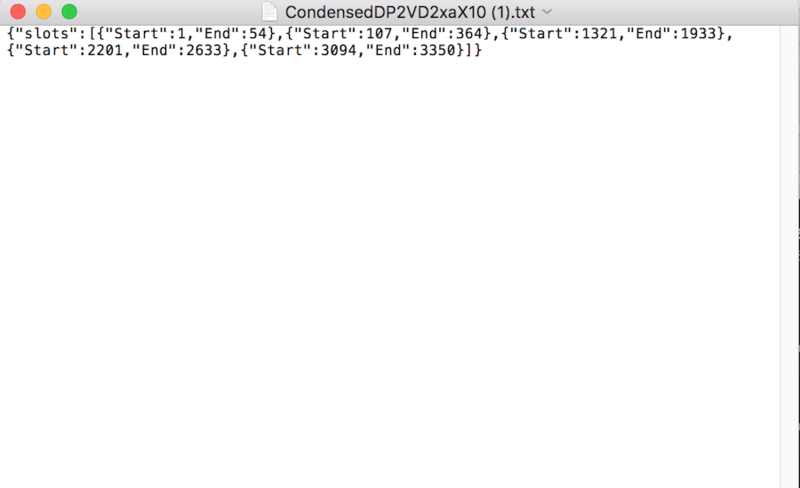 A JSON file with the time slots to be skipped is generated that is auto sent to me which I update on subsequent versions. The extension was loved by students and it received lot of appreciation. My friends suggested to automate the marking process using AI, which is a nice ambitious idea.